I am pleased to share with you this update on the 2017 legislative session. We worked to pass legislation that improves the lives of working families, encourages economic growth, and makes critical investments in the future of our children, as well as in our City and State. Increasing access to capital for small businesses by expanding eligibility for the Angel Investor Tax Credit to include small businesses. Most business owners invest a tremendous amount of time and effort in their business, yet struggle to find the financial backing required to get their ideas off the ground. Banning “Conversion Therapy,” a debunked practice that uses psychological and emotional abuse in an attempt to change the sexual orientation of children. Prohibiting discrimination against veterans in employment, public accommodations, and housing. I hope you find the enclosed information helpful. Our future is stronger when we work together, so please do not hesitate to reach out to my office if I can ever be of help to you or your family. It is my pleasure and honor to serve as your State Representative. I am proud to announce that the bipartisan state budget provides Hartford with the financial and structural tools it needs to avoid bankruptcy. The State gave the City the tools and resources it needs to put itself on a firmer financial footing. This includes an additional $40-$45 million appropriation of municipal aid to Hartford on an annual basis. Thanks to hard work on our budget priorities, Connecticut families currently on the waitlist can start enrolling in the Care 4 Kids program, the State’s primary child care support program. Care 4 Kids helps low-to-moderate-income families in Connecticut pay for child-care costs. Across Connecticut, 98 percent of towns have families that receive Care 4 Kids funding. For more information about the Care 4 Kids program go to www.ctcare4kids.com or call 1-888-214-KIDS. With passage of minor changes to the bipartisan budget, we have successfully resolved issues with the Renters’ Rebate program and eligible participants will still receive a rebate similar to last year’s amount. The Connecticut Renters’ Rebate Program provides rebates to older adult or disabled renters whose incomes do not exceed certain thresholds. Between April 1 and October 1, qualified individuals can apply to their local assessors once a year for state reimbursement for rental payments they made in the preceding calendar year. Married couples can receive up to $900 and a single person will be refunded a maximum of $700 through the Connecticut Renters’ Rebate Program. Homestead Avenue is an important corridor through the upper Albany neighborhood of Hartford. Its old industrial sites remind us of past generations when the factories were running multiple shifts and the neighborhood was humming. Even today, the polluted brownfields remain as community eyesores. 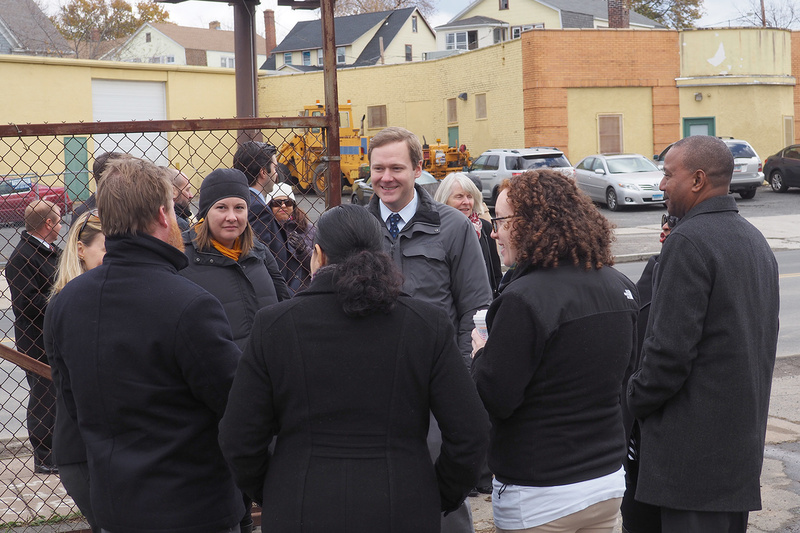 I am proud to have worked with neighbors, the Hartford Delegation, Governor Malloy and local officials to secure State funds to assess, remediate and revitalize blighted properties on Homestead Avenue. The $1.9 million grant will help remediate three properties and ready them for redevelopment.